- Made of 8 gauge Crystal Clear Vinyl. Our 10-in-1 Folders are great for multiple school courses. 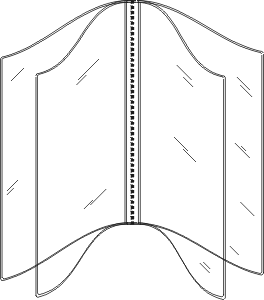 - Two full page pockets on cover and back. - Ten 41/2" pockets inside. 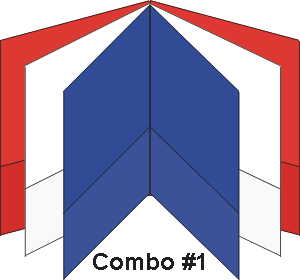 Combo #1: Cover is RED, Inside Pages are WHITE & BLUE. 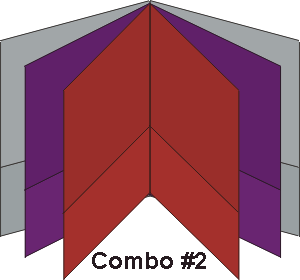 Combo #2: Cover is METALLIC SILVER, Inside Pages are MET. VIOLET & MET. MAROON. Combo #3: Cover is METALLIC GREEN, Inside Pages are WHITE & METALLIC MAROON. Combo #4: Cover is METALLIC MAROON, Inside Pages are WHITE & NAVY BLUE.